Gaming and VPNs aren’t words that went together in years gone by but things have changed and VPN services have become an essential for any serious gamer around the world. Regardless of if you’re a gamer or a streamer on services like Twitch then having a VPN at your disposal can mitigate plenty of different circumstances that could ruin your enjoyment and if you’re a streaming it can make the difference between being a professional and being an amateur who gets knocked offline with a pesky DDOS attack. Thankfully VPN services have become more reliable in recent years and rather than add lag to your connection they can in circumstances improve your connection and most importantly they’ll let you stay online and keep playing when nefarious hacker types try to knock you offline for scoring too highly. Below I’m taking a look at Best VPN for Gaming and comparing 5 providers who are all suitable for the job. Beneath the comparison I’ll take a look at a few of the top reasons why a VPN service is essential if you’re a serious gamer and even if you only play occasionally you can find out the benefits a VPN will bring to your game. If you want to gain an advantage and stay connected then IPVanish are without a doubt the best VPN for Gaming. I’ve been using IPVanish for well over 12-months and speed testing their service on a monthly basis and found they are the fastest VPN provider overall. This is great news if you play FPS games because the impact on your ping and any lag will be minimal to non-existent. If you’re more of an MMORPG gamer and like to play on foreign servers or even access games that aren’t available in your region then IPVanish definitely have you covered. With over 60 countries worldwide with VPN servers in every major gaming country, the choice is wide and varied. With VPN servers in North America and Europe and throughout Asia you’ll be able to spoof your online location and access servers and games from other regions. IPVanish have software for Windows, Mac, Android and iOS allowing you to hide your real IP Address both on a desktop or while mobile so if you’re regularly being knocked offline by DDOS or you’re a streamer who wants to ensure you stay connected while streaming or shout casting then the IPVanish software will keep you secure. They’re also one of the cheapest VPN providers so while you get the best VPN for gaming it’s also only going to cost $6.49 a month when taking an annual package. Follow the link below to visit their site, find out more and sign-up. ExpressVPN is another provider with a large selection of servers. They aren’t quite as fast as IPVanish so it’s worth considering them first but if you want access to a bigger range of countries then ExpressVPN is the provider for you. ExpressVPN has servers in over 78 different countries which means you can access games and servers from almost every region on the planet. One of the things I liked best about ExpressVPN is due to their large selection of countries it’s possible to activate some games early on PC platforms like Steam. For example, you can connect to Australia and activate a game that doesn’t come out for another 24 hours in the US and vice versa. Another good feature of the service is they offer a 30-day money back guarantee so it allows you to test it regularly with the games that you play to ensure it doesn’t introduce too much lag or effect your bandwidth considerably. A large set-up guide for routers, Playstation, and Xbox devices is available which means if you’re a console gamer then you’ll also be able to stream geographically blocked content and protect your IP Address from DDOS attacks. They’re a bit more expensive than IPVanish so it makes sense to look there first. At $8.32 a month when taking an annual package I would prefer them to be cheaper but if they’re within your budget they’re well worth considering. StrongVPN are another VPN suitable for gamers although they don’t have quite as many locations as the two providers above so they’ll be less suitable for all gamers depending on your location. On offer are servers in 21 different countries and if you’re a gamer in one of those locations then they should be good for your gaming needs. Servers are available in the United States and a handful of European locations including the United Kingdom, Germany, and the Netherlands amongst others. Asian servers are available in Japan, Malaysia, and Singapore but with no Australian based servers it won’t be ideal if you’re in that part of the world. With less choice it means less access to foreign servers or even foreign games but if you’re a MMORPG player then the Japanese servers could be enough for your needs. With no Korean servers, it’s unlikely to cover all games that you want to access. 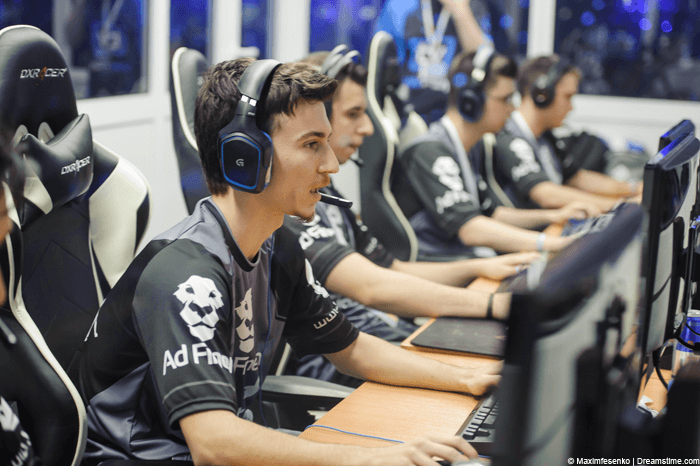 Pro gamers and amateurs benefit from VPN use. StrongVPN won’t be suitable for everyone in every region or for every purpose but if the country list is suitable for you then you’ll be rewarded with one of the cheapest VPN services on offer. An annual package will set you back just $5.83 a month making them one of the cheaper available options. With software and apps for Windows, Mac, Android and iOS they have you covered no matter what type of gamer you are, from the pro FPS gamer all the way through to the occasional mobile app player. Although they’re certainly not the best VPN for gaming, they’re not half bad. Take a look with their 5-day money back guarantee. Overplay are a good option for gaming if you’re a PC or Mac user as they supply simple software to connect. If you’re a mobile gamer then they’re a little less useful than the other providers as there are no apps for Android or iOS devices so you’ll be better off looking above. Again like StrongVPN they don’t cover as many countries as either IPVanish or ExpressVPN and have access to just 20. Europe is well covered with 12 different countries and also North America. The good news is there are servers in Japan, South Korea, and Malaysia so if Asian based games are your thing you’ll be able to access them. Australia and New Zealand both have servers available which is great news if you want to access games earlier on services such as Steam. Often when games are released around the world on the same date it’s possible to activate 17 or 18 hours earlier if you lived on the west coast of the USA. Overplay are one of the more expensive providers at $8.32 if taking an annual package so it’s worth considering if either IPVanish or ExpressVPN wouldn’t make a better option. While they’re certainly suitable for some gaming needs they won’t suit everyone. VPN.ac are one of the fastest VPN providers for gaming which is why I’ve included them here in 5th place. They certainly won’t be suitable for all gaming needs because of their limited server selection but if they do have servers in locations that you need then their speeds are some of the best in the industry. VPN servers are available in North America, a good selection of European countries and Singapore, Japan and Hong Kong in Asia. VPN.ac also offer servers in Australia so a good selection that may be suitable for your gaming needs. Two things I like most about VPN.ac is their servers are very underutilised which means you get great bandwidth as there aren’t lots of other users making use of the same servers. They’re also one of the cheapest VPN providers available costing only $4.90 a month when you take an annual package. VPN.ac also allow simultaneous connections on up to 6 devices so if you have more than one gaming computer, console or mobile device then you’ll be able to connect them all. IPVanish is without question the best VPN for gaming both in terms of value for money and the services it can enable. With a good selection of servers worldwide and fast speeds it covers most needs for gaming purposes. Not only do they offer a complete service but their prices are also competitive and beat other providers who often offer less. If IPVanish doesn’t suit your needs then it’s worth taking a look at the other providers too and deciding what features are most important for your personal gaming needs. Below I’ll take a look at some of the uses of a VPN for Gaming showing you why having the best VPN for gaming is essential. Unfortunately not all is fair in love and war and when you’re ahead of the competition it’s often the case that sore losers will want to push you offline. 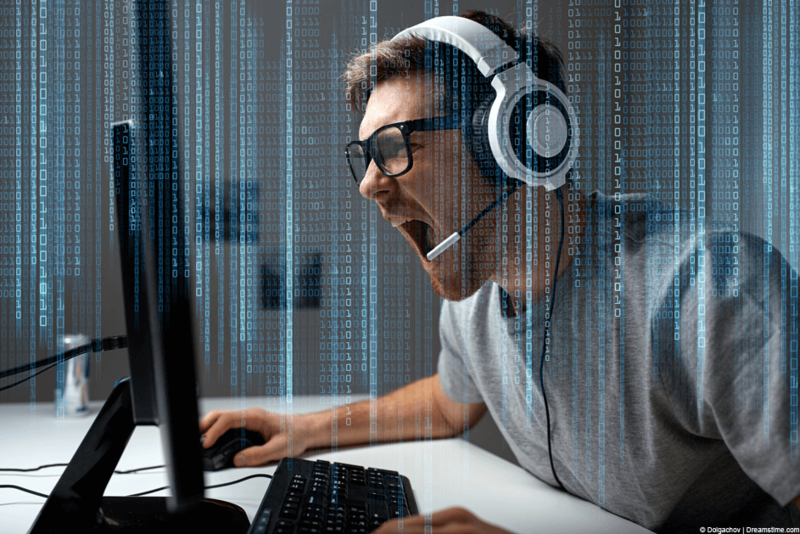 DDOS attacks against gamers have increased dramatically in recent years and if you’re an above average player then you’ve probably suffered your fair share of DDOS attacks both crashing you off servers and ruining your enjoyment in the process. No stranger to DDOS attacks are streamers on services like TwichTV. If you’ve got a good number of viewers then you’ve probably been subject to a DDOS attack too. Being knocked offline in the middle of a live stream can not only affect your viewer numbers but if you’re earning money from the stream then it could start to affect your bank balance too. A VPN is an ideal solution to protecting yourself from a DDOS attack. Usually those who carry out the attacks look to gather your IP Address, this is a unique address to your internet connection. It’s easy to pick up from servers or when you connect to services such as Teamspeak. A VPN will disguise your IP Address so rather than your home connection receive the DDOS attack it will be the VPN server you’re connected to. As most large VPN providers have measures in place to mitigate against DDOS attacks you’ll be free to continue playing or streaming until your heart is content. Games release much like movies on specific launch dates. These are often staggered around the world and in extreme cases certain regions such as the USA can get access to games months before others like Japan. Blockbuster games usually release on the same date across the world but with a 19 hour time difference between New Zealand and California it means kiwis often get to play big name releases nearly a day before those on the west coast of the United States. With PC gaming services such as Steam you can use a VPN to connect to New Zealand and unlock games earlier tricking Steam into thinking you’re in New Zealand. Once the game is unlocked you can disconnect and play earlier than all your other local friends. For those who are worried about games being blocked, there have been no reports of any games being blocked or revoked for unlocking early. The only rare occasion this has happened is when users have purchased games from cheaper regions. Often games are released in certain regions only. In the case of online games this tends to be specific regions that have large gaming populations such as North America, Europe or parts of Australasia. If you’re outside those regions then you can often be locked out, a VPN will let you appear in one of those regions and join in the action. In other cases games, especially anime type or Asian MMORPG are released in specific regions of Asia only such as Japan or South Korea because they assume there will be little interest in those types of games outside of those regions. In recent years such games have boomed but they have been kept restricted to their originally intended audiences. With a VPN you can connect to Japan, South Korea or other Asian countries and bypass blocks to play those types of games. There are clearly tons of uses for a VPN in the gaming world and many outside the scope of this article. I’ve rounded up a few above but the providers listed will be suitable for many more. To recap on the Best VPN for Gaming options see the table below.